As the summer draws to a close, and we look toward back to school, you may be looking around your house and wondering how to get more organized. Many homeowners are adding a space in their home that offers a way to organize the items that tend to clutter up as people come and go. 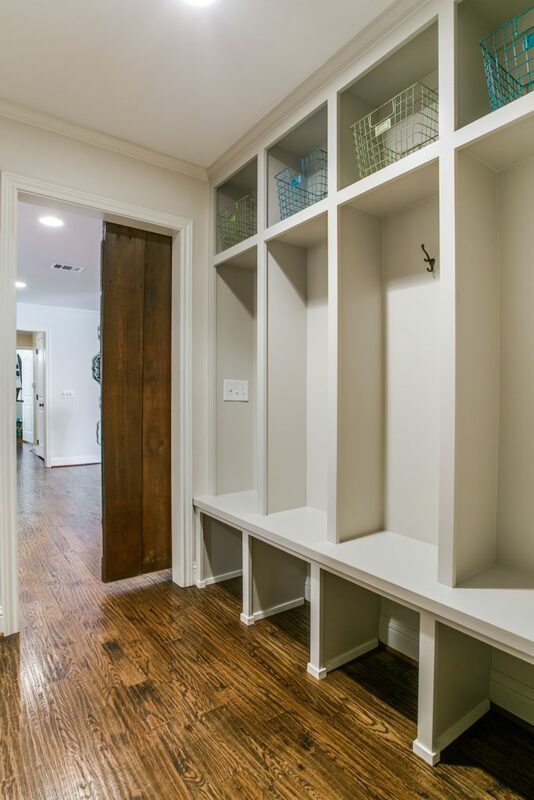 Yes, you could just keep a mountain of abandoned shoes at your back door, but a better solution is to have a fully functional mudroom. This space will act as a buffer between the outside world and the inside of your home. 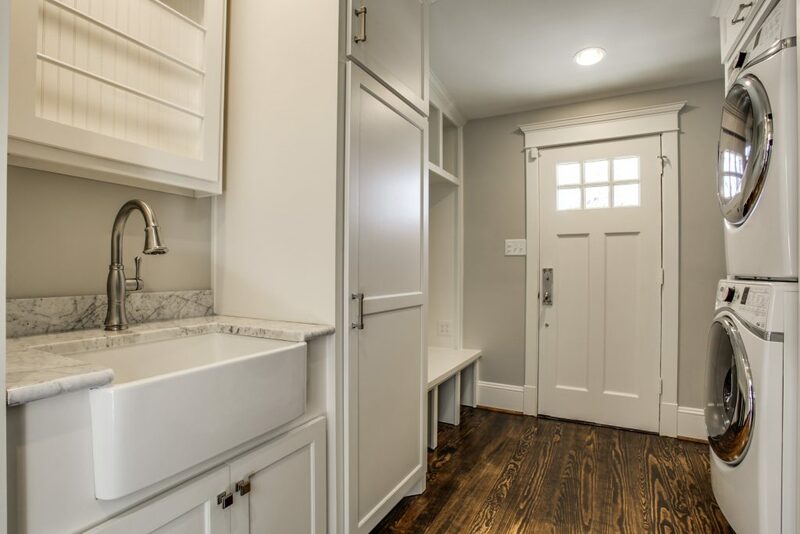 Let’s look at a few ideas that could turn your mudroom into your favorite room in the house. A deep sink in your mudroom will allow you to tackle cleaning jobs that other sinks in the house just can’t handle. A utility sink is the perfect accessory to a laundry room. Perfect for dirty boots or equipment, having a hose-down area will come in handy for an active household. Whether you’re gardening or need a place to wash the family dog, you’ll be thankful you installed one. “A place for everything and everything in its place.” Imagine having the perfect storage for sports equipment, coats, boots, laundry supplies and anything else that you might need, right at the back door. 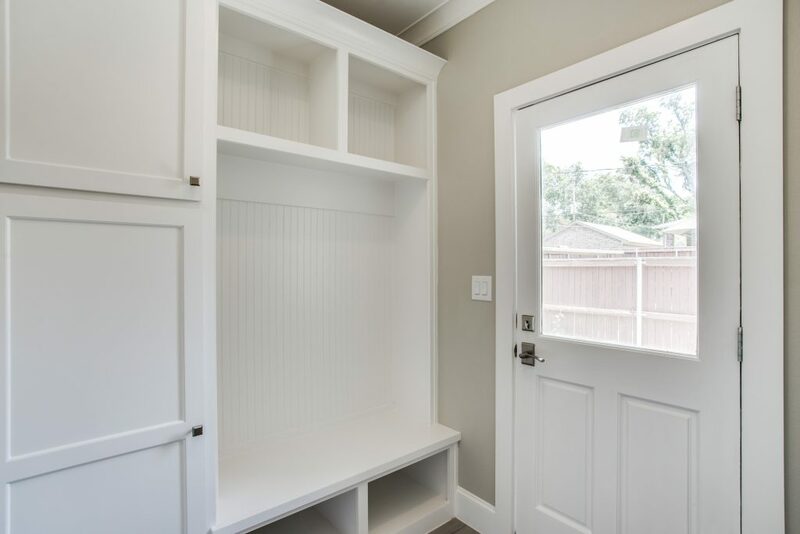 A place to sit for a moment to either put on or take off your boots is important in any mudroom, but combine it with storage space underneath to store your boots and you really have a great mud bench. Having your washer and dryer in the mudroom saves you steps in the laundry process. Often, soiled clothes are discarded at the back door in order to keep the mess out of the house. Why not be able to drop them right in the hamper or the washer to save time? You could have a side-by-side setup, or stackable to save space. When the clothes come out of the dryer it’s convenient to have a long counter space where you can fold them. This will also provide you with more storage under the counter. If you live in a multistory home, having a speedy way to get the dirty laundry downstairs is a convenient addition to your mudroom. The kids might even be inclined to help pick up laundry when they get to watch it go flying down the chute! Many people have a hard time finding a good place to keep their recycling bins. No one wants to have their recycling sitting out in their home, so why not have a built-in sorting center in the mudroom? This allows you to be environmentally conscientious and keep your home looking wonderful at the same time. There are so many different ideas that could go into a mudroom. You can make the room suit your needs by talking to a contractor and explaining your lifestyle. These spaces can be lifesavers when it comes to keeping the outdoor mess from getting into your home.